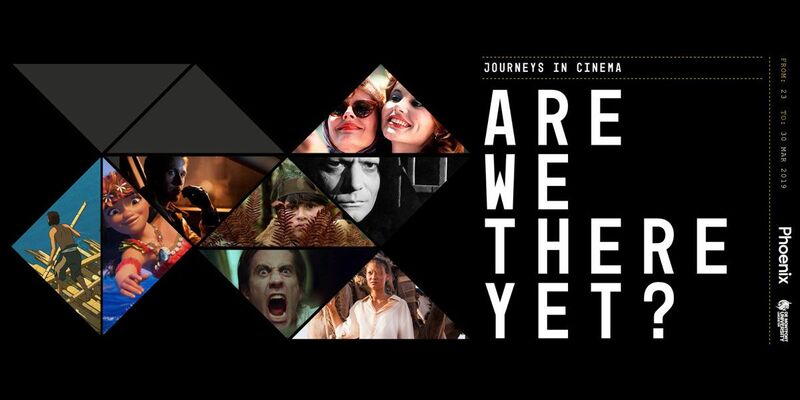 The ‘Are We There Yet?’ Film Festival is the latest collaboration between DMU Film students and Phoenix running from 23 – 30 March. The festival explores cinema’s enduring fascination with quests and journeys with a short season of films. 50/50 presents a story of how we should appreciate and enjoy life. The film’s journey follows Adam, played by Joseph Gordon-Levitt, who’s extremely safety and health conscious, doing anything he can to avoid harm, including avoiding driving a car due to a fear of dying in a crash. However, when Adam is diagnosed with a rare cancer, he begins to learn that in life nothing is guaranteed, and he must make the most of it, enjoying the little things while he can. I believe that this is an important message. I’m cheating a bit because my pick is a trilogy – but you can’t just choose one Lord of the Rings film! I saw the trilogy in the cinema in the early 2000s, and it was my first introduction to the world of Middle-Earth and the fantasy genre more widely. The soaring iconic soundtrack, the amazing shots of New Zealand scenery, and the practical special effects are some of my favourite elements of the films. These form the backdrop of Frodo and Sam’s epic journey – taking the One Ring to Mordor – which proves that even the smallest person can change the world. When you watch a film about two people wandering the streets of Vienna, your first thought isn’t that the characters are undertaking a journey. However, Before Sunrise encapsulates the emotional journey and evolving relationship between Jesse (Ethan Hawke) and Celine (Julie Delpy) beautifully. Seemingly conversational chit-chat quickly changes into topics involving love, loss and loyalties, and two characters that initially met on a train a few hours previously find they mean a lot more to each other than meets the eye. This film helped inspire me to seize every opportunity that comes my way. In this 1979 epic war film, Captain Willard journeys to the heart of the Vietnamese jungle to retrieve a defected Colonel Kurtz. He experiences first-hand the horrors of the Vietnam War. He sees the very worst of humanity and realises the horrible things that war can make people do. His seemingly simple journey upriver is a realistic depiction of the destruction and death the soldiers faced, from surprise tiger attacks to crazed gunfights. Plus with the film’s surprise ending, you realise that maybe Kurtz’s maniacal ramblings sort of make sense. How I Live Now depicts the journey of American teen Daisy as she visits England to stay with distant relatives. When World War Three breaks out, Daisy along with her cousin Piper embark on a journey across the English countryside to find their relatives who have been taken away by the army. I love this film as it contrasts the beauty of the natural world with the ugliness of the human. Through Daisy and Piper’s journey, we are exposed to the horrors that war entails. However, the importance of love and family motivates them to push through. 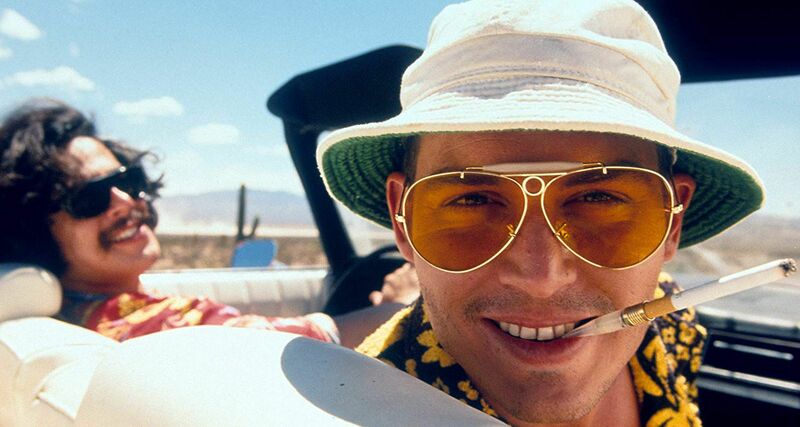 Fear and Loathing in Las Vegas follows a drugged up duo as they speed from LA to Las Vegas to cover a famed motorcycle race. The trip turns into chaos as they tear up the town in a haze of drugs searching desperately for the American Dream, or at least a version of it. A simple assignment becomes a mess of drugs and bright lights and Terry Gilliam is perfect to adapt the equally mad article and book which inspired the film. Gilliam’s stylish direction perfectly complements Johnny Depp and Benicio del Toro’s suitably mad and unhinged performances. A personal favourite, Little Miss Sunshine is a charming feel-good film. It follows a dysfunctional family, the Hoovers, as they journey to California in their VW van so that Olive, the youngest of the Hoovers, can participate in the ‘Little Miss Sunshine’ Beauty Pageant. The film is quirky, subtle and clever with an astonishing exploration of the characters as they completely transform throughout the film. Little Miss Sunshine highlights how one journey can change a person and bring people together in a bright and wonderful way. The student-run film festival explores cinema’s enduring fascination with quests and journeys with a short season of films – featuring classic road movies, pilgrimages, and journeys through the mind – organised by Phoenix in partnership with DMU. For more information about the festivals events, click here.